The brand new Sedan from the Nissan table is now available in market. Named Versa earlier, Nissan’s Sunny had to go through a change in name owing to the existence of an automobile model bearing the name manufactured by the Maruti Company. Based on Micra, the name sunny as Nissan explains stands for the god of suns, indicating a pious dawn. 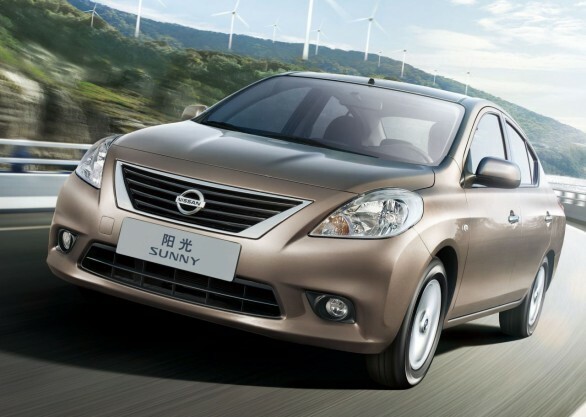 It is the 10th generation Sunny to hit the markets and the Sedan was first unveiled way back in December 2010 at the 8th China International automobile exhibition. In India Nissan sunny had a grand launch marked by the presence of industry bigwigs. Speaking to the media Mr. Kiminobu Tokuyama, MD of NMIPL revealed that the car has been designed keeping young professionals in mind. Prices vary between Rs 5.78 lakhs and 7.68 lakhs and currently there are six shades available- Bronze Grey, Storm White, Blade Silver, Sapphire Blue, Onyx Black and Brick Red. Nissan has not been particularly lucky with automobile users in India. They almost managed to touch the right chord with the sedan Nissan Micra. However, the price tag attached to the vehicle was enough to drive half the customers away. Till recently, Nissan sunny was being sold in two countries only, U.S and China. Markets there demand a car that is cost effective, offers ample space and stores gizmos enough for everyone. Allow other factors like ownership costs and riding quality to join that list when it is the markets in India that are being targeted. Let us discuss the key features that characterize Nissan’s Sunny. In majority of the cases it becomes really difficult identifying a Sedan against a hatchback. Both the varieties seem to vary little in so far as the frontal appearance is concerned. A similar feature marked Micra, the predecessor of Sunny. The newest automobile from the Nissan stable is neither perfectly round nor completely boxy representing a cross between the two. It inherits the door handles, marked chrome, from Micra. Wheels measuring 15 inch each and designed using steel alloy are sure to grab some eyeballs. Moving interiors, you find a handful of Micra sprinkled here and there, especially the round design AC vents, the button knobs and the oh-so -familiar Chrome door handles. The resemblances do not end here. The gearbox may trigger memories of Micra. Bookings for Nissan Sunny 2011 began in the middle of September. The variations available currently include XE, XL and XV. The petrol model has been launched first while the Nissan Sunny Diesel is expected to appear during the auto Expo 2011. Maximum power may go up to 97 bhp at 6000 rpm. The base model offers minimum facilities in the form of SRS airbag, ABS with EBD. Given the condition of Indian roads, ride quality is a major factor that influences buying decisions among customers. Driven keeping speed levels low, the Sedan may register a little uneasiness adjusting to the roads in India. However, as the car gathers speed, such irregularities may vanish into oblivion.